There are wide-screen monitors, and then there are wide-screen monitors. This is the latter. This 29-inch” LG Ultrawide features 2560x1080 resolution, and its IPS panel means that colors and viewing angles will both be stellar. $227 is the best price Amazon’s listed, so close out all of your other windows and focus on buying it. That, I assume, is why Gaiam made the Balance Ball Stool, which is just a stool with a partial balance ball attached to the top. These are normally $129, but you can get one from Amazon today for $103 and have it delivered to your office by the end of the week. 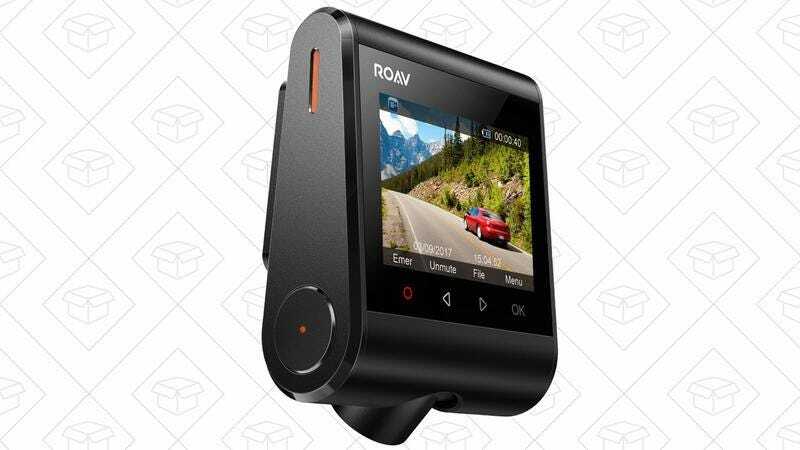 Anker’s beginning its drive into the automotive accessory space with an affordable new dash cam, and you can race over to Amazon to snag one for $68, the best price we’ve seen since our exclusive (and short-lived) $64 launch deal. I test-drove the Anker Roav dash cam, and you can see my full impressions here. But to give you the Cliff Notes version, it shoots at 1080p, its space-saving design makes it essentially invisible to the driver, and it even includes wi-fi to transfer clips to your phone, which is hard to find in a sub-$100 dash cam. This stainless steel table is Amazon’s top seller in the “commercial worktables and workstations” category, but it wouldn’t look out of place in most home kitchens. In fact, I think it looks pretty darn nice, especially for an all-time low of $88. Klymit pads are lightweight and inflate incredibly easy, so they’re ready to be packed into an overnight bag and hiked up a mountain. And right now, Amazon is running a Klymit sale full of really fantastic sleeping pads, pillows, and more. I have the Static V2 pad, and for $40, I’m kind of pissed I can’t return mine and grab it from Amazon. Amazon’s marked it down to an all-time low of $14, but it could sell out at any time, so don’t let the other buyers outflank you.